Taken from Michael Kors Pyper collection, this gorgeous watch has a perfectly rounded, shimmering black face with rose gold detailing. Matched with a black leather strap, it can easily be secured on your wrist for a chic, everyday look. Other features include a two years warrantee and water resistance by to 5AM. 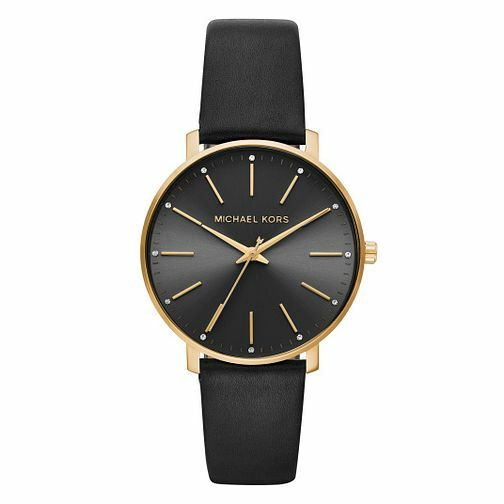 Michael Kors Pyper Ladies’ Black Strap Watch is rated 5.0 out of 5 by 1.